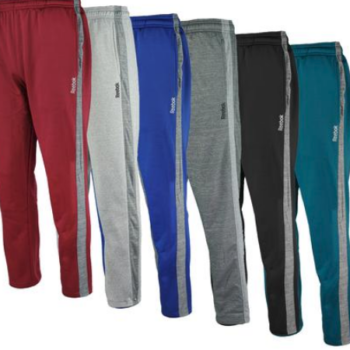 Reebok Men's Pants Only $9.99 Shipped (Regular $45)! Stock up for the guys! Hurry over here and score these Reebok Men’s Fleece Pants for just $9.99 (regular $45) when you enter code REEBOKPANT at checkout. Shipping is free! These were available in sizes M – 2XL in lots of different colors. 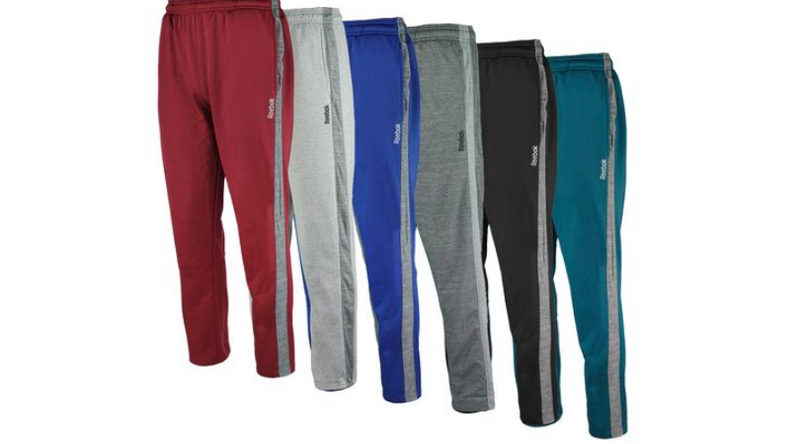 The Reebok Men’s Fleece Pants are durable, comfortable and adjustable at the waist. The functional side panel holds your needed items while the Reebok name is placed at the lower left hip.